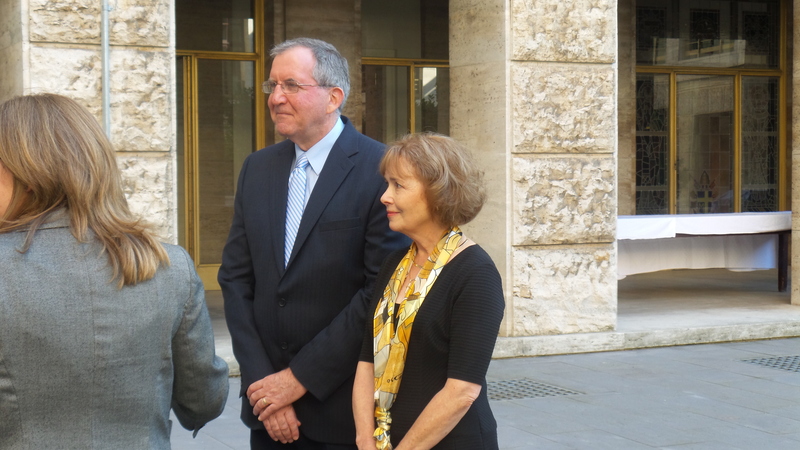 My guests this week on “Vatican Insider” are Jeff and Alice Heinzen of the diocese of La Crosse in Wisconsin who recently spent a hectic, work-filled two weeks in Rome as participants in the October synod on the family. 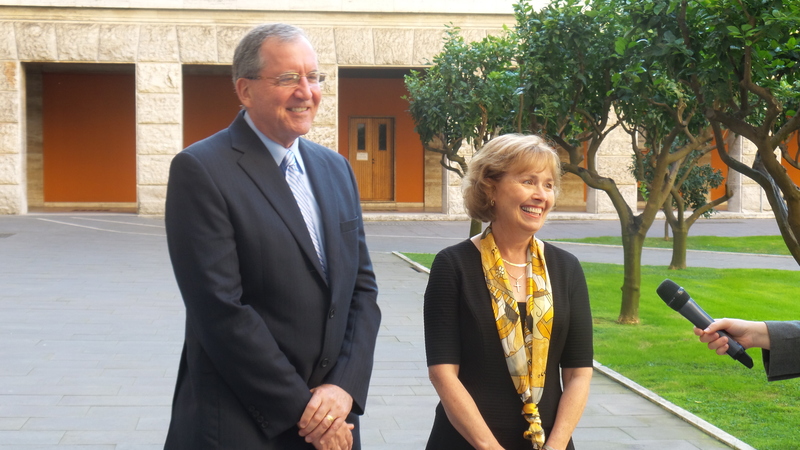 Their talk introduced the afternoon session on Tuesday, October 7 during the first week of the synod. That session was dedicated to discussions on pastoral programs designed to meet the challenges facing families. Alice is director of the diocesan Office for Marriage and Family Life and Jeff is president of McDonell Catholic Schools in Chippewa Falls. Listen to their fascinating take on the synod – their work, what they saw and heard. The Forbes article starts: THERE ARE 7.2 BILLION PEOPLE ON THE PLANET. THESE ARE THE 72 WHO RULE THE WORLD. It then asks: “What do the president of Russia, the richest man in China and the first woman ever to head a Big 8 automaker have in common? They’re all featured on Forbes’ 2014 ranking of the World’s Most Powerful People – an annual snapshot of the heads of state, CEOs, financiers, philanthropists and entrepreneurs who truly run the world. “The list represents the collective wisdom of FORBES editors and advisors, who consider hundreds of nominees before ranking the planet’s 72 power brokers — one for every 100 million on Earth. We measure their power along four dimensions. “First, we ask whether the candidate has power over lots of people. Pope Francis is the spiritual leader of 1.2 billion Catholics, or about 1/6th of the world’s population. As another example, Doug McMillon, new CEO of Wal-Mart, employs 2.2 million people and is the top private employer on the planet. Pope Francis this morning addressed participants in the national assembly of the Italian Confederation of Major Superiors (CISM) and shared with them some points of reference for their path. According to the couple’s Christian lawyer, the young Shahzad and Shama Masih were beaten by an angry Muslim mob on Tuesday and then burned alive. Police instead report the young couple was beaten to death and then their bodies burned. The cardinal noted that there have been about 60 executions under the blasphemy law since it was adopted. He called for some international intervention in the matter, saying that a minimum of humanity and solidarity is required and that dialogue is necessary. Since direct intervention in Pakistan’s domestic affairs is not appropriate, said the cardinal, legislators must be helped to understand that laws must respect the dignity of the person. Cardinal Tauran said the Church must denounce such violent acts publicly, with consistency and force. He said he hopes Muslim leaders will do the same, especially because Muslims are victimized by these acts of violence as well, as they give a very negative image of Islam. “Therefore, it is in their interest to denounce such acts in a vigorous manner,” he said. The cardinal said solidarity is the way to continue giving hope to Christians facing daily threats and violence. He also underlined some encouraging and well-received initiatives by the Church in the Middle East.